We've been busy the last 60 days in the Dallas market launching our Caring is Sharing campaign, encouraging providers and patients to share the CareStarter App with friends, family, peers and colleagues. Patients and providers simply share the app via email or text. We're extremely happy with the campaign's success. So much so that we are launching #CaringisSharing in Austin, Houston and San Antonio in the coming months. Update: You may notice that details about Connections are disappearing! That's because the Connections app will be going away as we focus more on bringing faster and better updates to the CareStarter app. Don't worry, your Connections login will work on CareStarter! Swap Over to CareStarter now! As a result of the success from the Sharing is Caring campaign, we recently launched a new feature enhancement. This enhancement allows patients and providers the opportunity to more easily share CareStarter resources. Our registration screen now asks users to tell us if they are a provider or patient, allowing a customized experience for each of these two individual platform users. 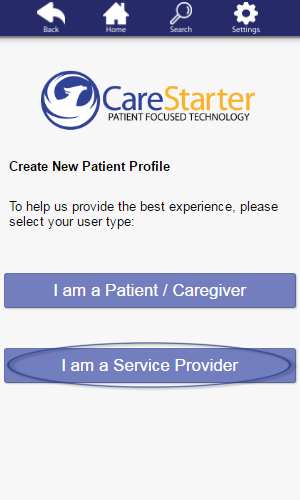 Simply select the patient or caregiver button to be director to a customized registration page. Patients/caregivers are directed to complete a profile adding zip code information, email address and are able to complete individual patient profiles for members of their family. 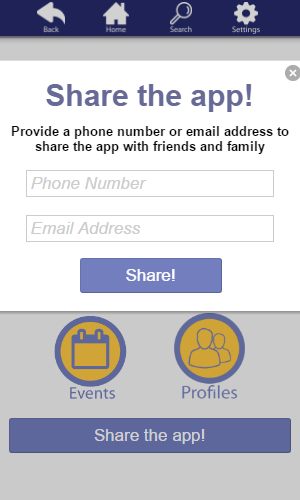 Upon completion, you can also share the app with others with just an email address or mobile number. 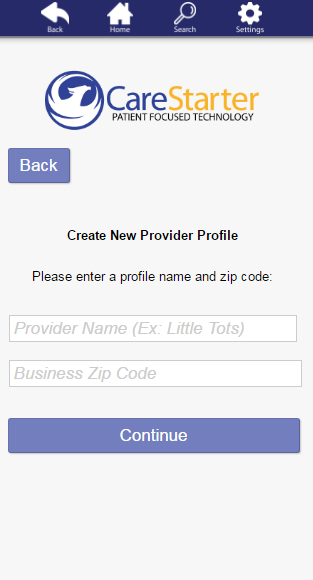 Providers are then asked to complete a full profile including a description, contact information, location address, other contact information and provider category. 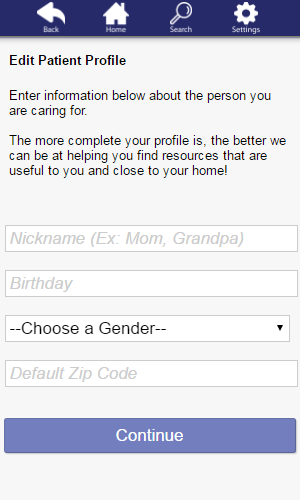 Upon the completion of either profile, new users are able to immediately share with anyone quickly and easily. Check out our newest features and resources by downloading the CareStarter App on Android, iTunes or access online.